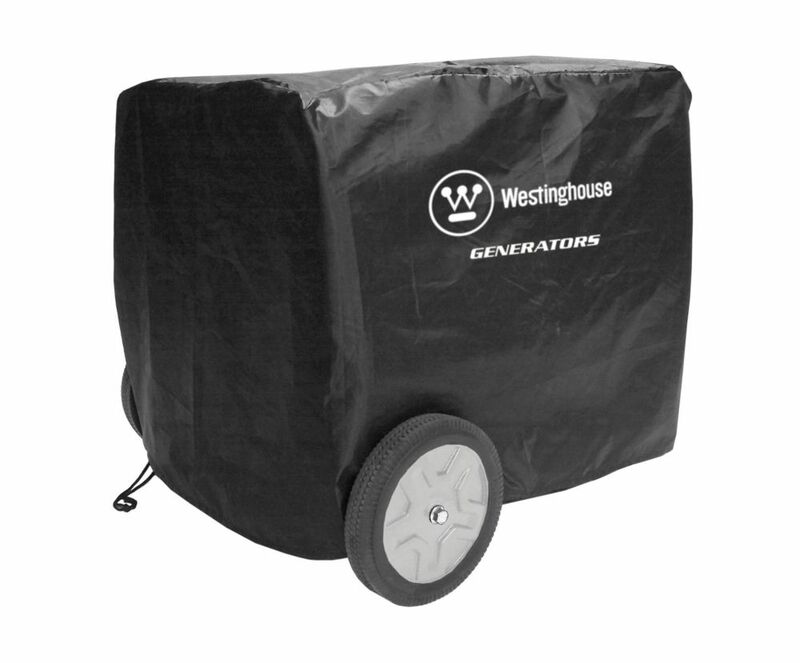 Generator Cover Westinghouse Portable Generator Cover, protects generator from dirt, dust and UV damage fits generators ranging in size from 3250 watts up to 7500 watts. Constructed with a draw string for a tight secure fit. Generator Cover is rated 4.1 out of 5 by 54. Rated 2 out of 5 by Sevenfingeredcarpenter from This cover is a poor fit for the iGen4500. It is more suitable for the larger, external frame gen... This cover is a poor fit for the iGen4500. It is more suitable for the larger, external frame generators, but it does keep the rain off, if you weigh down the excess materiel against the wind. Please make a cover that fits as well as the illustration. Rated 1 out of 5 by diesel2k2 from This is a horrible product. The nylon is so thin that it feels like it is going to tear in your h... This is a horrible product. The nylon is so thin that it feels like it is going to tear in your hands. The seams are not sealed and you can see light right through them, it will NOT protect your item from any kind of significant rain or water. I have the IGen4500 and this cover is far too big and sloppy. Its a shame that Westinghouse has not created a proper weatherproof cover so this beautiful generator can be protected during travel and storage on my RV. I will spring for a custom UV Resistant vinyl item that I can custom size. This one is garbage. It faded in less than a month and had to be rotated just to get some even wear out of it...I do not recommend it. Rated 5 out of 5 by HomeDepotCustomer from Haven’t tried it under full load yet. Generator has my... Haven’t tried it under full load yet. Generator has my best recommendation . Remote start great feature. Rated 4 out of 5 by Joel from Fits my Generac perfectly. Good value although I'd prefer a... Fits my Generac perfectly. Good value although I'd prefer a bit thicker material.